Ve’ahavta Tikun Olam Camp: March Break for ages 10-14 is coming up on March 11, 2019! 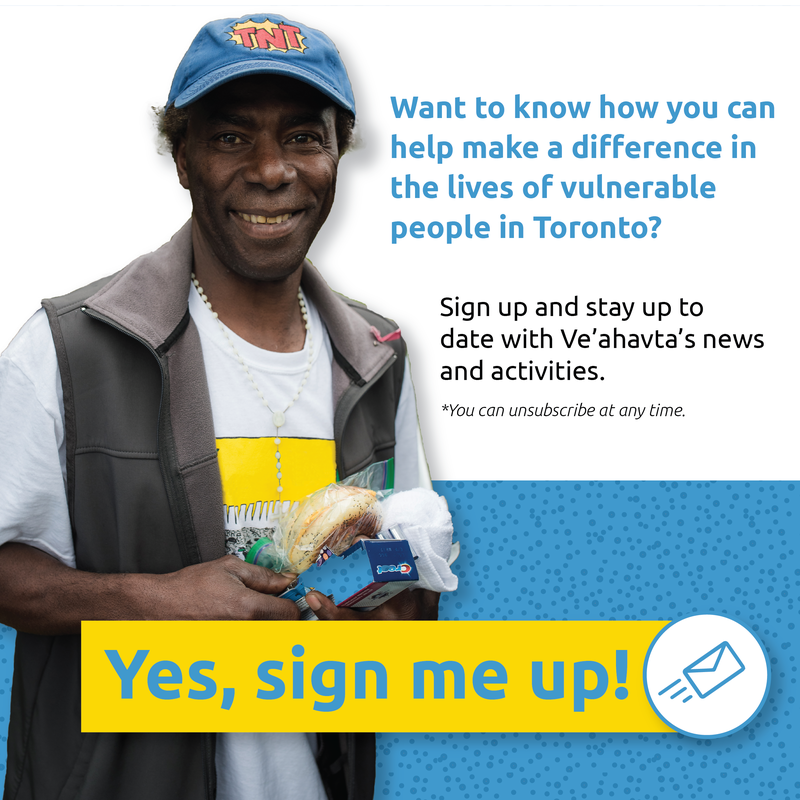 Enjoy a meaningful tikun workshop, hear from one of our powerful speakers and pack winter warmth kits for individuals who are experiencing homelessness. 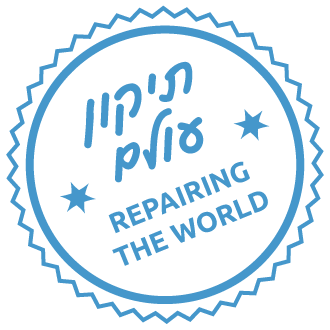 Help support Ve’ahavta’s life-changing programs. Tikun Olam Camp: March Break is a fun and informal half-day experience for kids and teens ages 10-14 who are looking for something meaningful to do at the beginning of their March Break. Download the Tikun Olam Camp: March Break poster. 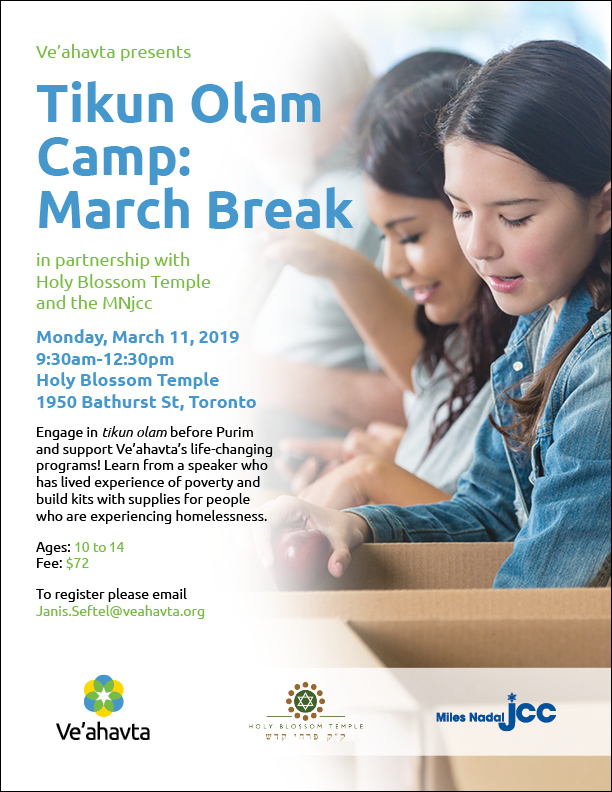 Register for Tikun Olam Camp: March Break 2019 now!